If you are mirroring your life in a way that is not desirable, this book can help you locate murky areas and make them suddenly crystal clear. Readers will find it an exciting step-by-step path to changing and evolving lives. 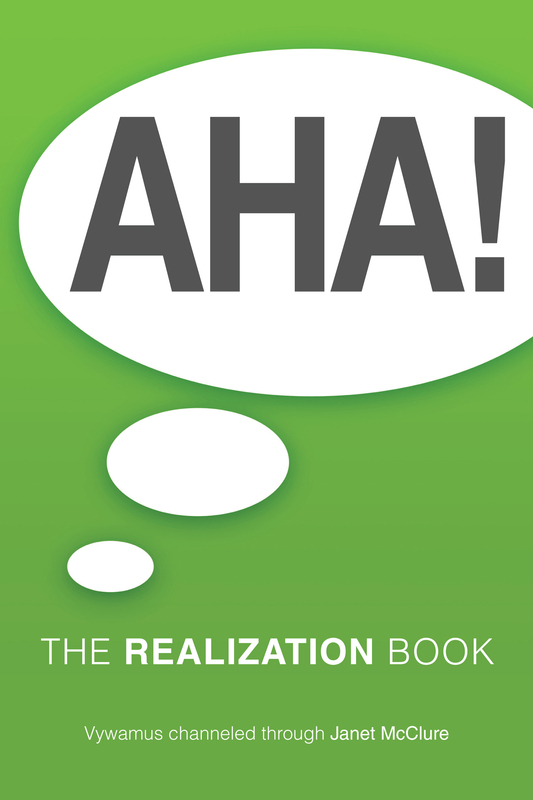 What is a realization? It is the bringing together, making real, and understanding of where you are now with respect to a certain area of your life, usually a certain large area in your life. Suddenly something that you didn’t see or understand previously becomes crystal clear, especially to the mental body. If you recognize that you create your own life from your beliefs about yourself (and this book is based on that premise), then you know also that you can change your life, and improve it by changing the beliefs that are not serving you well. Usually, however, to make a complete change, it is necessary to recognize or realize more than just mentally. Your emotional body’s beliefs and needs must be met. The emotional body needs to feel supported as you change this pattern. The emotional works through feelings and symbols but its conclusions are just as valid, just as meaningful, and even more powerful than the mental conclusions. In this book I, Vywamus, have given many possible causes of a lot of undesirable or unclear circumstances that may be mirroring into your life. You can read the chapters and see if they seem to apply to what you are mirroring into your life from your beliefs. If you are manifesting into your life in a way that is not clear, then reading this book may give you a “light bulb,” or a realization, that you are holding a specific erroneous belief.